How do I get my greens in? 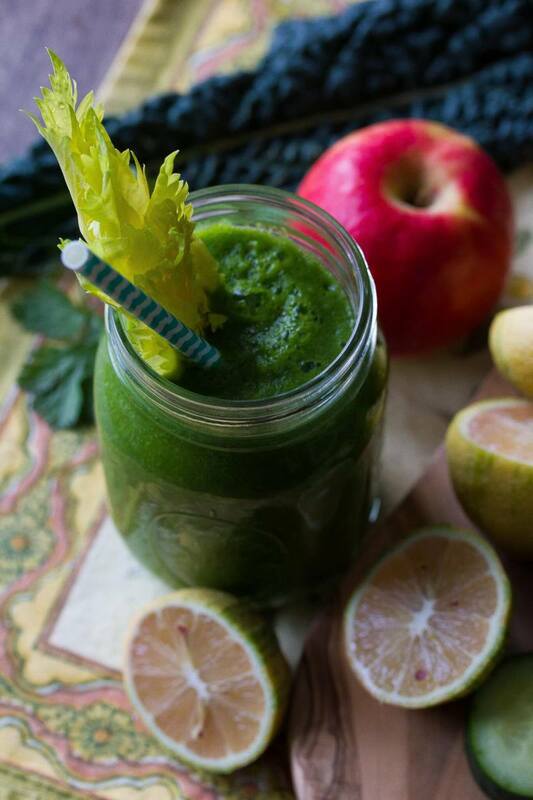 This is my favorite green smoothie for energy and detoxification! If you want to go even lower sugar, sub the banana with avocado. 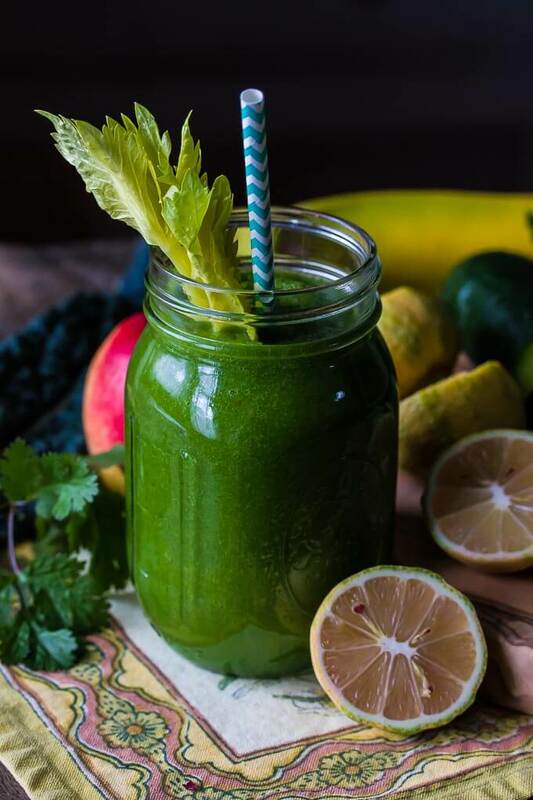 Green smoothies are my go-to breakfast these days. I love way the fiber keeps me full and my energy even. Blending breaks down the fiber, both soluble and insoluble, in greens and fruits. Consuming fiber in this way allows the glucose from these items to be absorbed in the bloodstream slower than with straight juicing. 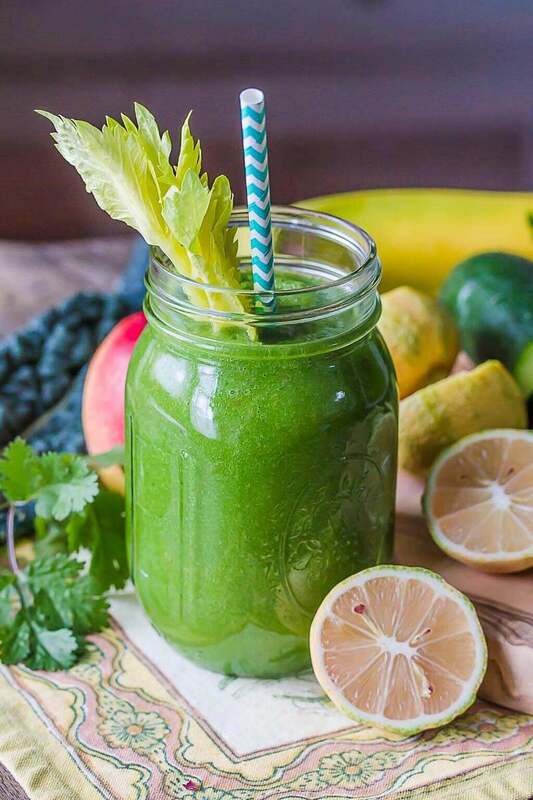 Blended drinks will oxidize slower in your system than with juicing, giving you more nutrients in the end! Blending also allows your body to assimilate more nutrients. 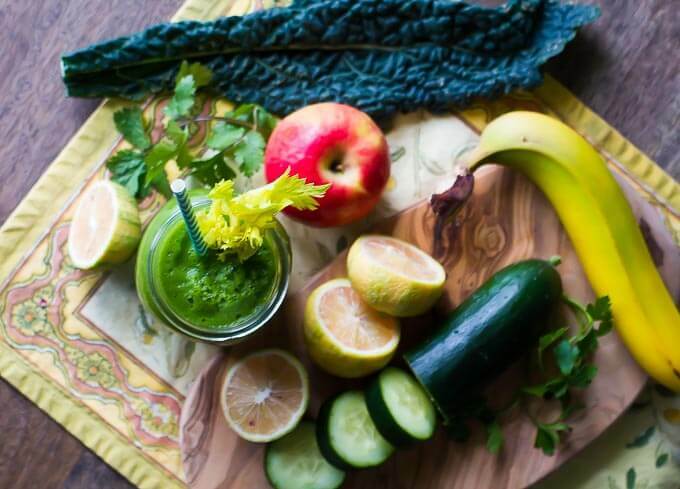 The blender will break down plant cell walls, releasing antioxidants and making your greens easier to digest.